The prayer originated with Abba Philemon in the sixth century. 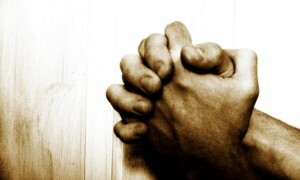 In the 19th century a young Russian man embarked on a quest to see if it was possible to be in constant prayer. While he was at church he was introduced to the text in 1 Thessalonians 5: 17 where Paul simply states “pray without ceasing.” He sought out to find if this was possible from various priest and monks. He was finally was taught from a monk that he met in the street that it was possible through the form of the Jesus Prayer. The monk would also then give him a booked called Philokalia, which was a series of collections from Desert Fathers which gave a full account on how to conduct the Jesus prayer. The young Russian would chronicle his journeys and teaching of the Jesus prayer to others in The Life of the Pilgrim. [ii] The Jesus prayer can be linked to the story of Bartimaeus’ cry out to Jesus. Bartimaeus’ exact cry to Jesus was “Jesus, Son of David, have mercy on me!” Jesus in turn would stake the claim that Bartimaeus would be healed of blindness because of his faith. Today we simply say or think the phrase Jesus Christ Son of God, Have Mercy on Me. [i] Tony Jones, The Sacred Way(Grand Rapids: Zondervan, 2005) 60. [ii] Tony Jones, The Sacred Way (Grand Rapids: Zondervan, 2005) 60 – 61.